BSNL has commissioned its first 4G tower in Karnataka on Saturday. The event was held at Ambedkar Bhawan, Shivamogga city, and Telecom Minister Manoj Sinha was present at the event too. Sinha also lauded the efforts of BSNL employees as the telco posted operational profits continuously for the last three years. Alongside this announcement, BSNL also stated that it’s planning to deploy 534 4G mobile towers in the Karnataka state shortly. Finally, BSNL has stepped on the 4G bandwagon, but it will be interesting to see what speeds it offers when compared to private telecom operators. 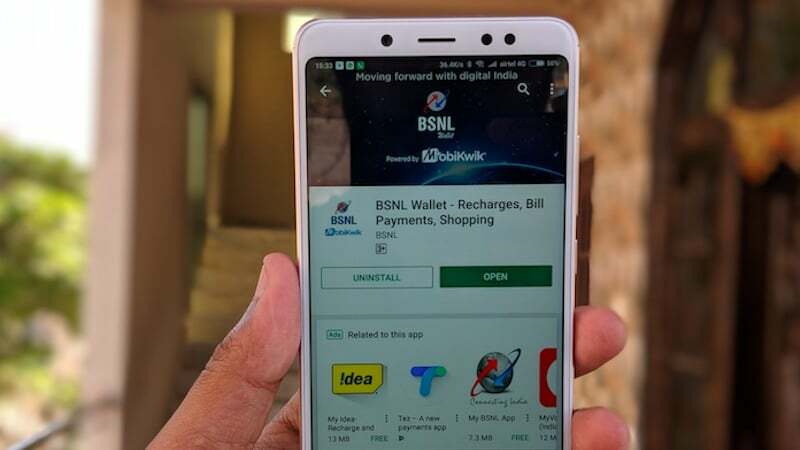 In other news, BSNL Chairman and Managing Director Anupam Shrivastava said to PTI reporters that the telco is planning to invest about Rs 4,300 to expand its network in 2018-19. Also, another Rs 5,000 to Rs 6,000 crore will likely be utilised for various government telecom projects. He also added that the Rs 4,300 crore investment would be primarily for strengthening the mobile network, upgrading broadband infrastructure and strengthening the core network. “Rs 5,000 to 6,000 crore will be spent on the government projects like Bharat Net, Network for Spectrum, the Comprehensive Telecom Development Plan for North East, as well as boosting connectivity to Andaman with the optical fiber network, and others,” he said. Furthermore, he quoted that the government projects executed by BSNL are providing bandwidth to Lakshadweep Islands, and connecting remote areas of Arunachal Pradesh. “Government is investing in large connectivity projects, where private players are not going. BSNL is being used as one of the vehicles to execute those projects, and we do that work on behalf of the government,” he said. Lastly, Shrivastava added that the government-owned PSU is looking to install 12,000 3G mobile towers and 10,000 4G towers in 2018-19 to expand the coverage. This will have a provision for 100% expansion mapped to BSNL’s 4G services roll out and spectrum allocation he concluded. BSNL is one of the few telecom operators adding subscribers on a consistent basis. As per the latest January 2018 subscriber data released by the telecom regulator Trai, BSNL added 3.96 lakh new customers, extending the overall subscriber base with 9.40% market share. Update: any airtel users should confirm this news, it appears airtel has started deploying 4G over 900 mhz band in some circles based on a Huawei press release. I am only getting Band 40 and 3 in Kolkata. Can you give a screenshot or something of the news? Wow…. Finally Airtel has the potential to have 4G coverage on par with Jio’s 850Mhz. Great news!